This is a 48-year-old woman, who’s had liposuction in the past. She had not been happy with her previous operation and wanted a tummy tuck. On examination, she had significant contour irregularities with extra skin. There was an umbilical hernia that needed repair. There was also some periumbilical fullness that appeared to be from a diastasis. 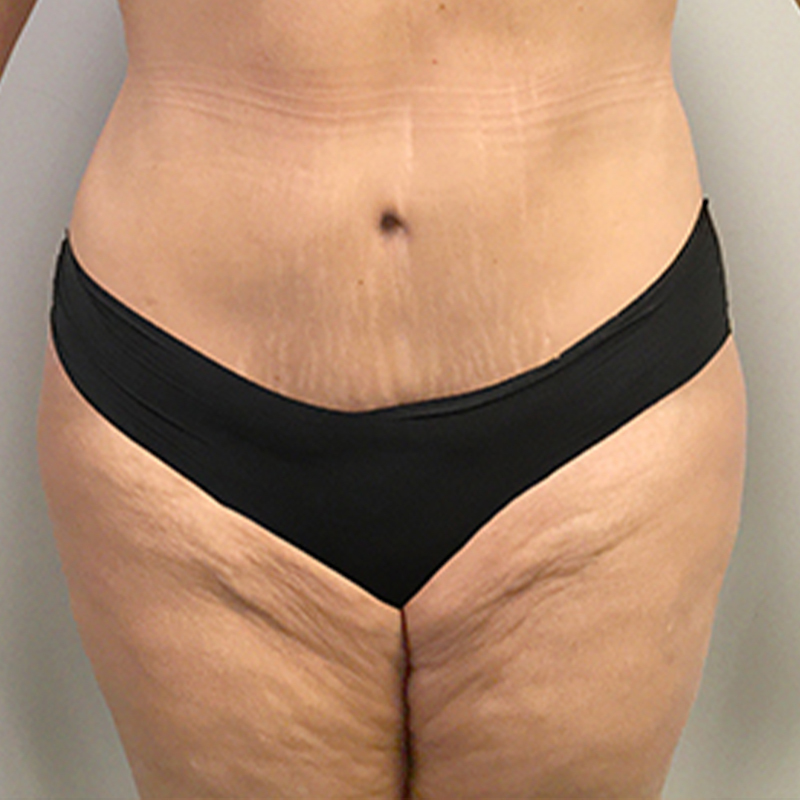 We did a tummy tuck with muscle repair and umbilical hernia repair. We used Vaser to help break up the scarring. She was very happy with the operation.